saw some of the heaviest silver price drops seen in recent years, actually taking the price of silver below prices seen in 2010. For those hoping for a better 2014, you may want to rethink your stocks and bonds strategy and take a harder look at gold as an investment source instead of silver. Although silver started off the year at a good level, when gold dropped $200/oz. in a 2 day period in April, 2013, silver took an even worse battering percentage-wise. With gold running at $2,000/oz dropping 10% was bad enough but with silver, dropping $4 to go below $25/oz was devastating to investors with a drop far above the 10% level. This meant that many silver mining companies cut back production dramatically to prop up prices and silver streamliners saw a significant drop in throughput. For corporate investors, this was a major blow and for individual investors who purchased silver at over $30/oz, it was an unmitigated disaster. Although both gold and silver have seen a solid ROI over the last few years, both metals are heavily dependent on what the Federal Reserve does. While the Fed has been strong in bond buys the last few years, they tapered that back in 2013 and the fears of more tapering drove both gold and silver prices lower. Although silver does have industrial purposes that gold doesn’t, thereby giving silver markets that gold doesn’t have, the overall result didn’t provide the support silver investors hoped for. Because of the Fed’s reluctance to continue to be strong in the bond markets, both metals suffered, however the silver market suffered the brunt of the blow. 2014 won’t be a banner year for silver, although there are hopes it will be somewhat stronger than 2013. The actions of the Fed are pretty straightforward at the moment as they wind down the supports they’ve had in place for gold as an inflation hedge. Current results showed an uptick at the end of 2013, although it isn’t quite as strong as the recovery in August and September of 2013 . 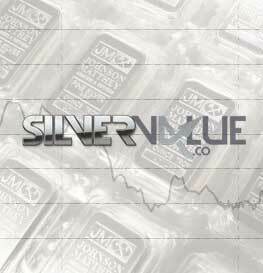 As the market continues to settle, prices for silver should further stabilize and start to climb, possibly reaching over $25/oz by the end of 2014. For those buying in now, this could show a good ROI, although this trend may not stick depending on changes to Fed activity. All in all, the silver market remains volatile and the industry involvement in silver isn’t going to have a major impact on overall silver pricing. What the Fed does, especially when you take the housing market into account and actions pertaining to withdrawal from the metals marketplace, will have an effect on current trends and could stall or even reverse current gains. For long-time players in the silver market, this may be an extended blip on your radar, but for those who are thinking about silver as a new investment strategy, coins or stocks may be a better play, especially as a short-term prospect.